Star Wars: Force for Change Twitter Sweepstakes launches at Star Wars Celebration for a chance to win a vacation to visit Star Wars: Galaxy’s Edge at Disneyland® Resort. MANCHESTER, N.H., and BURBANK, Calif., April 13, 2019 ― Lucasfilm and parent company Disney, and the global K-12 nonprofit organization FIRST® (For Inspiration and Recognition of Science and Technology) today announced they are teaming up to inspire the next generation of heroes and innovators. As part of their Star Wars: Force for Change philanthropic initiative, Disney and Lucasfilm are providing a $1.5 million donation, in-kind and mentorship resources to help expand access to FIRST programs for more students globally, with a focus on underserved communities. As a robotics community, FIRST has inspired millions of students and provided opportunities that prepared young people for the future. Each year, more than 600,000 students participate in team-based, mentor-guided FIRST programs in 100+ countries around the world, building confidence in STEM and growing into well-rounded, community-focused leaders of the future. More information about how FIRST, Disney and Lucasfilm are inspiring a new generation of heroes can be found at firstinspires.org/force-for-change. 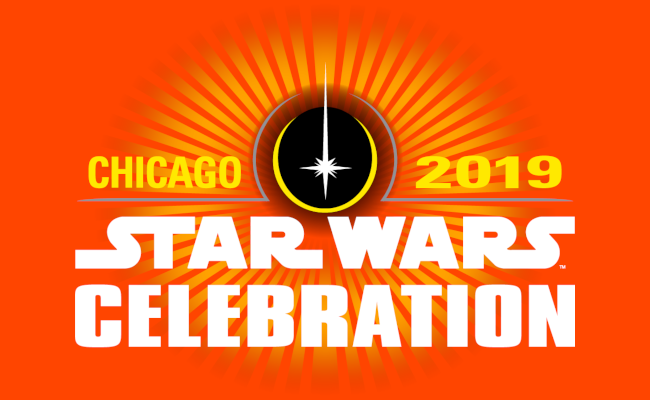 During Star Wars Celebration in Chicago, Star Wars: Force for Change also announced a twitter sweepstakes to help spread awareness of FIRST. Visit the official Star Wars twitter account at twitter.com/starwars and retweet the announce video with #StarWarsFFCSweepstakes between April 13th and 22nd to enter for a chance to win a vacation to visit Star Wars: Galaxy’s Edge at Disneyland Resort. This vacation also will include a guided tour by a Disney Imagineer throughout the all new land. NO PURCHASE NECESSARY. Enter Sweepstakes between 4/13/19 at 8:00 AM PDT and 4/22/19 at 11:59 PM PDT. Open to legal residents of the 50 U.S. & D.C., Puerto Rico and Canada (excluding Quebec), who are 13+ at time of entry. Limit 1 entry per person. Visit https://starwars.com/FFCsweeps for Official Rules including details on how to enter, eligibility requirements, odds of winning, prize descriptions and limitations. Void in Quebec and where prohibited. Sponsor: Lucasfilm Ltd. LLC, 1110 Gorgas Ave, San Francisco, CA 94129. Watch Anthony Daniels' Interview At Star Wars Celebration Chicago 2019!